After an unimpressive CES last week we are eager to see what will come at MWC with LG and Samsung expected to debut their flagships there. Samsung is already expected to announce Galaxy S8 at the conference and LG confirmed the presence of its new flagship G6 too. But according to Korean industry insiders LG Electronics is going to outrun their Korean competitor in race to the market shelves. 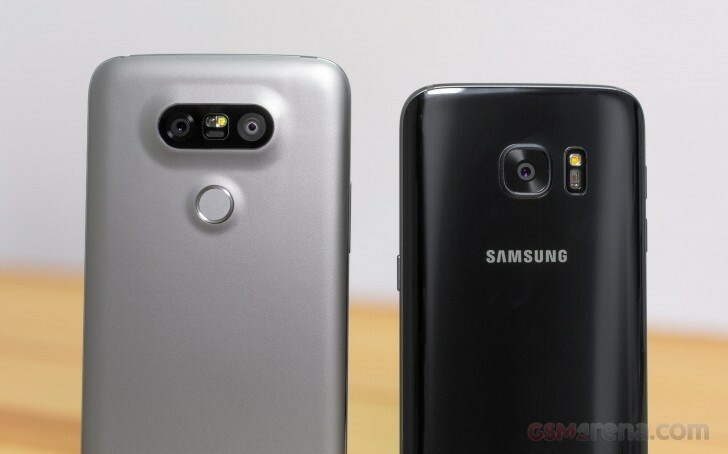 LG G6 will be released on March 10, just two weeks after its unveiling at the end of February. This is the release date for Korean market. LG is aiming to catch the back-to-school sales with the semester starting the same month. Looks like LG is trying to capitalize on the Galaxy S8 delay. While we are still expecting the final report on the Note7 troubles, rumors say that the reason was a hardware design (and not the actual battery) and thus pushing release dates a month later in order for Samsung to reconfigure the hardware of Galaxy S8. We already reported the date April 18 for the official launch of Galaxy S8 but now we have another source confirming that information - the handset will be available on the third week of April. The G6 is LG's big bet for coming back in the black after its first operational loss in 6 years. this is going to be expensive for the first month. The LG G6 looks like the GALAXY J3, which is a bare basic model. Thumbs down LG.